On the 15th of this month, after more than a week of dreadful humidity and high temperatures, the weather toned down to a comfortable 75 F/24 C after a strong cold front dispelled the muggy haze of mid summer. July days here are rarely so pleasurable, so I snatched the opportunity for another trip to Beaver Lake in my local woods. I’ve become familiar with the northern and eastern sides of the lake, but my thirst of curiosity for what lay on the opposite sides needed to be quenched. 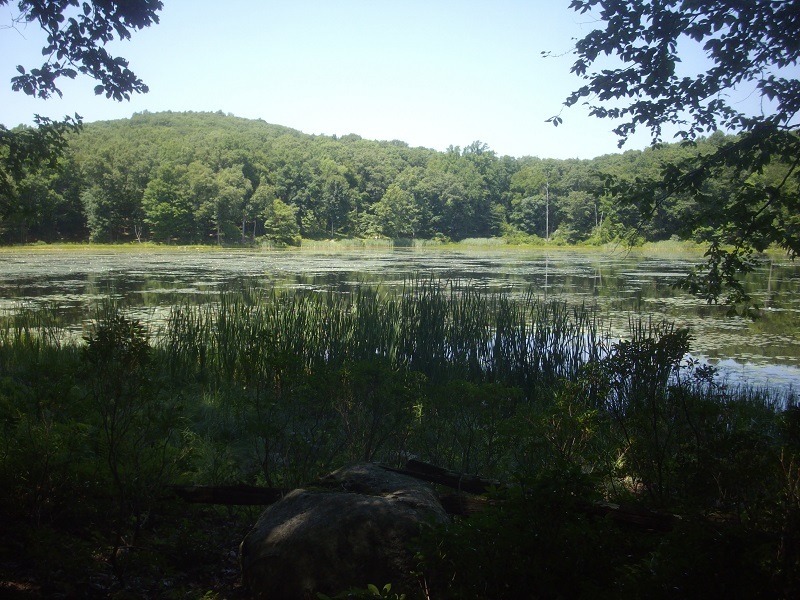 I set out with my day pack, bushwhacking my way to the Ives’ Trail and following it to the north side of the lake. 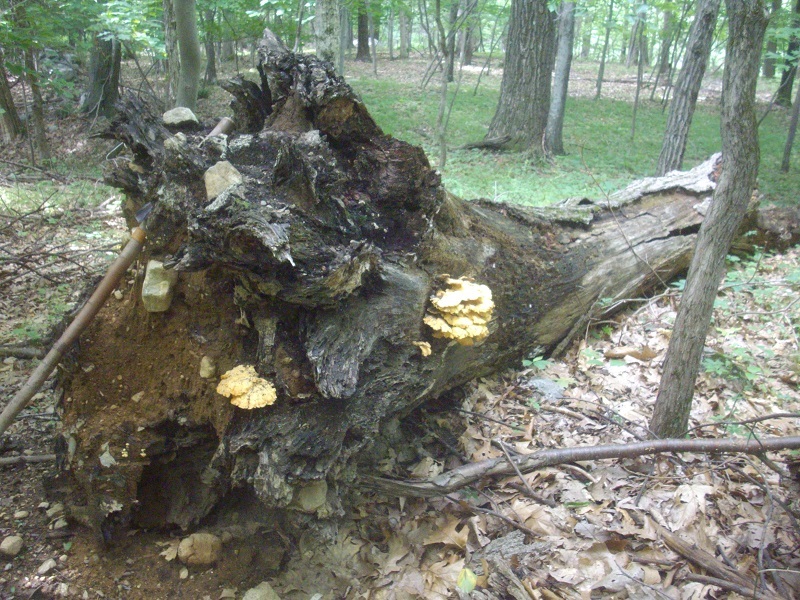 Early on my hike up the Ives’, I found another downed, weathered Black Oak which bore two rosettes of Chicken-of-the-Woods fungi. Having not brought my foraging basket, the bits I collected were wrapped up in my mozzie net and stuffed under my hat. There were also small clusters of Bumblebee-weed (aka “Heal-All” and “Self-Heal”, Prunella vulgaris) where the trail passed through lowland, wet areas. Bumblebee-weed was once used by the Algonkin in Quebec to break fever. Today it can be found in natural food/health stores as a medicinal herb for treating cold, flu, diarrhea, insect bites, as well as cuts and abrasions. Instead of making my usual turn off into the thickets of Mountain Laurel, I decided to save some time and take a different route, an old ATV and dirt bike (illegal) trail that had been claimed by mountain bikers. I believe I crossed it a few times during last winter, but I didn’t think anything of it because no one used the trail for the season, and it wasn’t marked with blazes or cairns. The path branched-off this way and that, leading me through several batches of Black Trumpet fungi. Black Trumpet (aka “Horn of Plenty” and “Death Trumpet”, Craterellus cornucopioides) is an edible mushroom common throughout the northeastern region. Its trumpet-like shape makes this fungus easy to identify. Despite the common name “Death Trumpet”, it is not poisonous. Black Trumpets have a fairly long growing season, from midsummer to late September. Most of them will be black, but occasionally you’ll find grey and even light brown individuals (notice the two grey ones in the photo above)…they are edible just the same. 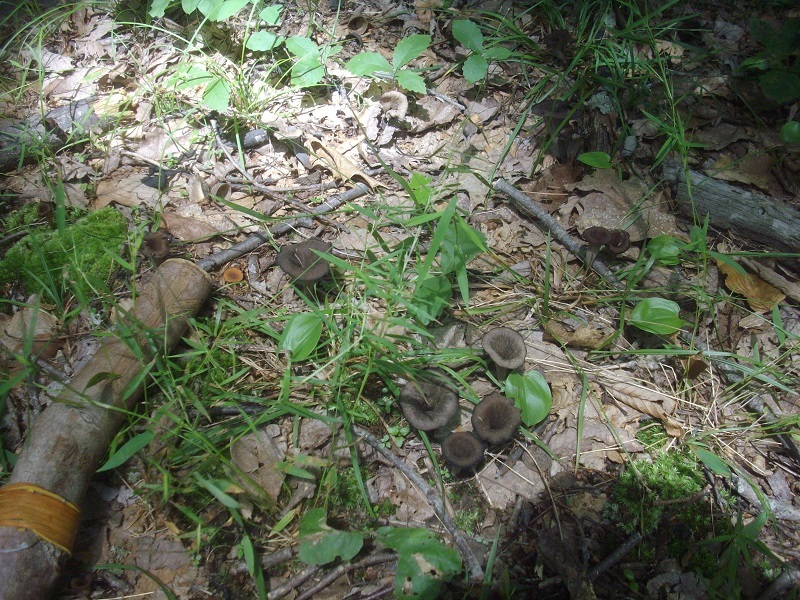 Look for Black Trumpets on well-drained, acid soils in partially shaded places in forests. They are small, usually no more than an inch or two above the ground. After gathering a handful of these tender mushrooms, I continued down the rolling, rocky knolls to the eastern side of Beaver Lake. 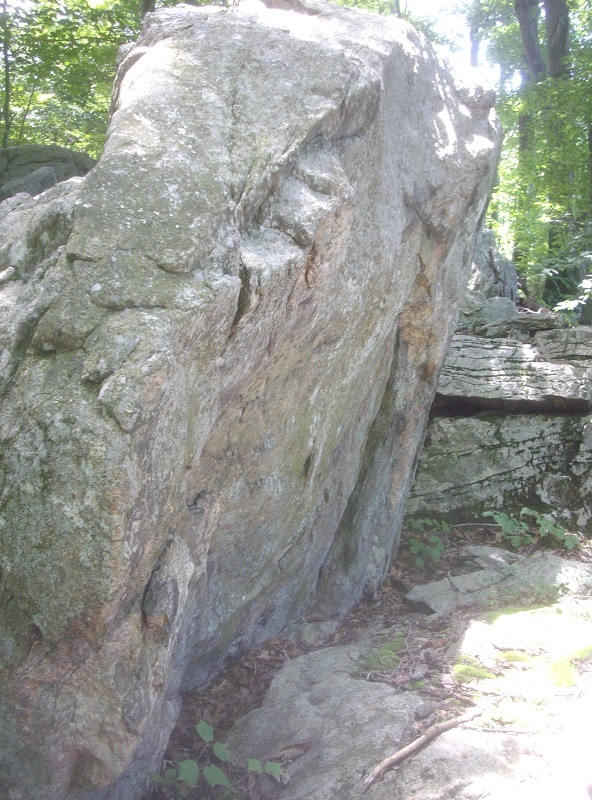 Following a descending narrow path near the shore, I discovered a large, flat-sided boulder facing the lake. It would make a fine campsite with one heck of a fire reflector and a great view :). A patch of Lowbush Blueberries only a stone’s throw away is an added bonus…. …they’ll be ripe in a week or two :D.
I reached the edge of the lake where the two beaver families have ecologically improved the falls and running brook by constructing a dam, creating a small, marshy area…a perfect habitat for frogs and moisture-loving flora. 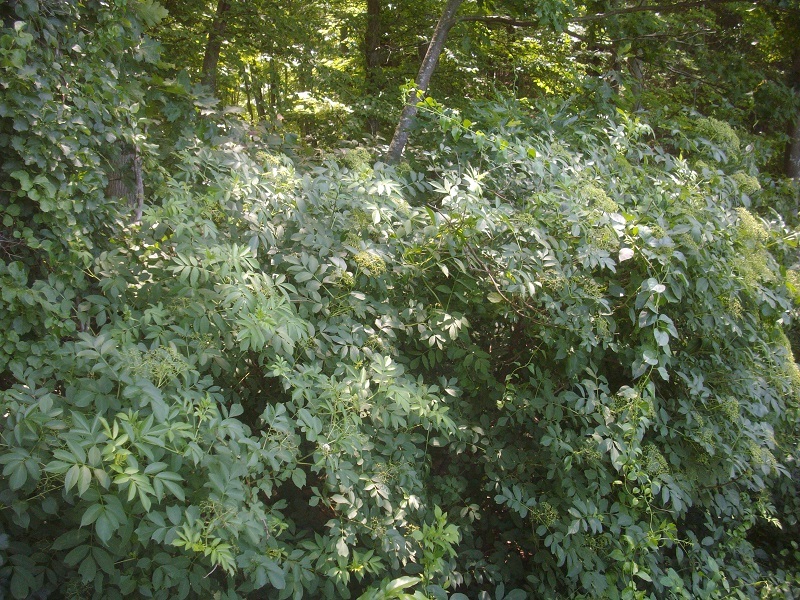 Among the Blue Vervain, Pennsylvania Bittercress, Cattails/Greater Reedmace, Bulrushes and other grasses, stood a large Canada Elderberry bush. By mid-August, it will bear its classic, succulent fruit. Elder is also regarded as a medicinal plant in Europe and North America. A syrupy tincture made from the berries is used to treat colds and the flu. Carefully crossing the beaver dam, I passed my late December wild camp site into another swampy area, and entered the woods on the southern side of the lake. 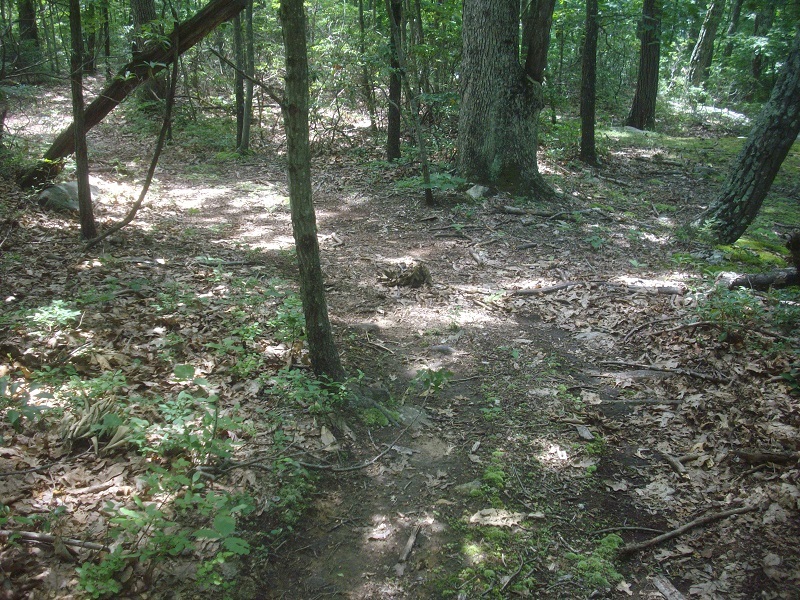 I quickly found another old ATV trail which had a narrow, off-shooting footpath that meandered close to the lake. Both had remained abandoned for awhile, for there were no footprints, tire marks, or disturbed leaf litter. The footpath was also a bit hard to follow from being untrodden for so long. This southern portion was much less rocky and had gentle slopes compared to the eastern side. 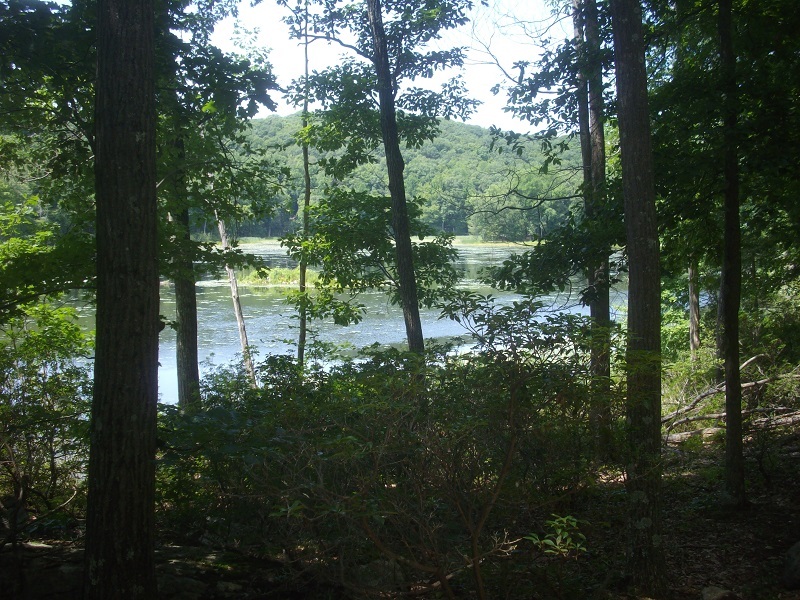 There were also no Mountain Laurel thickets to impede my travel, and the woods were open as far as my eyes could see. After hopping over a stone wall and fumbling around trying to relocate the path, I was greeted by several Sweet Gale shrubs, their wavy, aromatic leaves brightened by sunlight poking through the canopies above. Sweet Gale (Myrica gale) is a member of the Bayberry family. 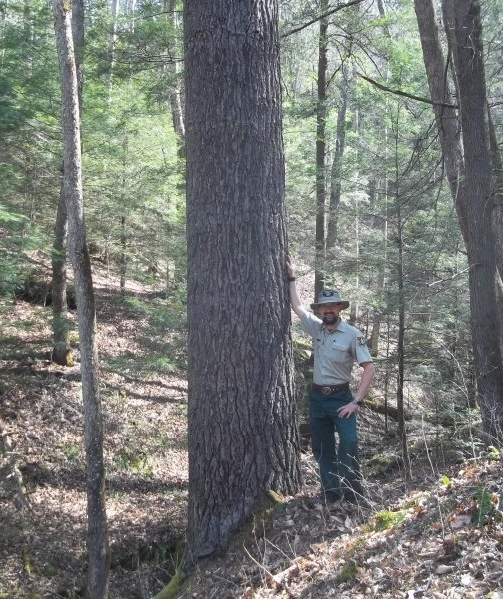 It can be found all over New England and other northeastern states, Canada, and as far north as Alaska. It thrives in bogs, fens, marshes, lake shores, and stream banks. Sweet Gale is related to Northern Bay (Myrica pensylvanica), a shrub common along the northeastern seashore and also the former source of bayberry wax, which the colonists fashioned into candles and soaps. Both have spicy, fragrant leaves which are fantastic additions to soups, stews, and steamed mussels. I picked a few leaves and headed in the same direction (west) the footpath went, eventually locating it again and continuing on my course. It led me through throngs of Lowbush Blueberries, and to my great delight, the bushes gave way to a carpet of Wintergreen (known to some as “Checkerberry”)….and there sure was a lot of it :). Such a find filled me with merriment, and in the beauty of it all, I realised how fortunate I was. 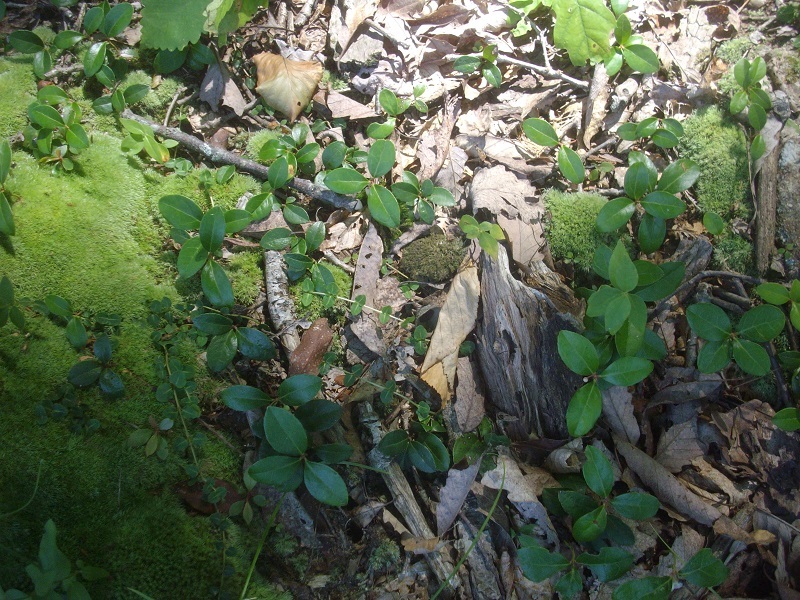 Wintergreen prefers dry (sometimes moist) acid soils and mottled woodland shade, and although I regularly come across suitable habitats for it to thrive, this is the only other spot I have ever found it in my area, besides the patch at the national park where I work. 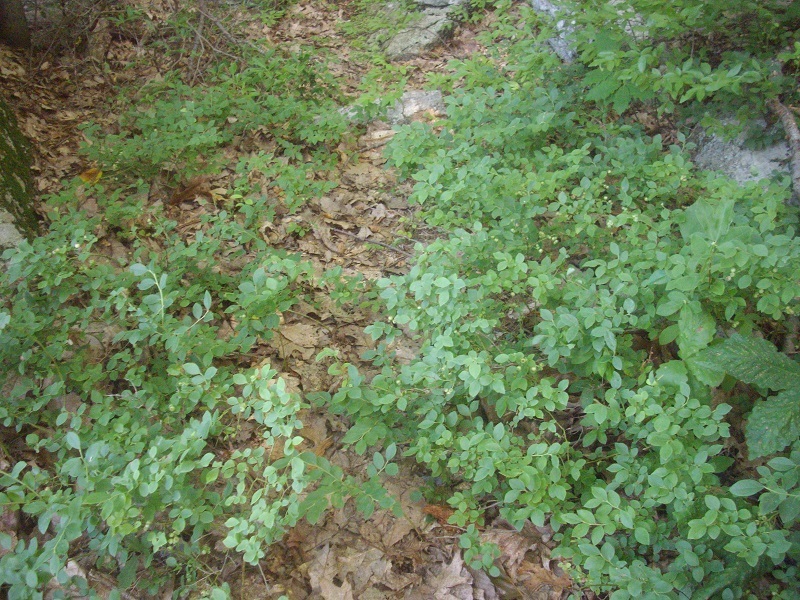 Wintergreen is more common in the Litchfield Hills section of Connecticut, where the higher elevations can support a greater variety of temperate flora. 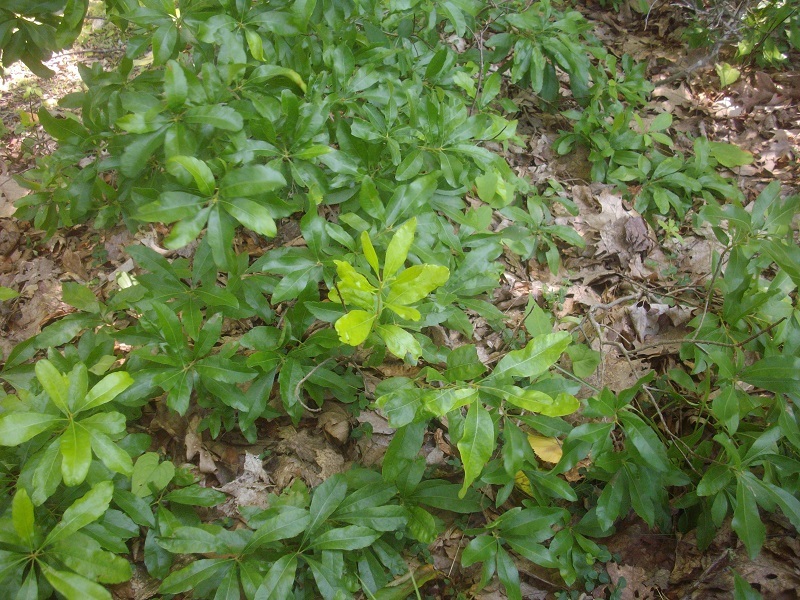 Wintergreen is a creeping evergreen ground-cover, much like Partridgeberry (middle left in photo), and both have red, edible berries. Wintergreen, however, is an aromatic plant – one can brew a tasty tea with its leaves, for they (and the berries) contain natural methyl salicylate, the same chemical which gives Sweet and Golden Birches their characteristic taste. Nowadays the wintergreen flavour in food products and tooth paste is synthetically produced in a lab. …and two cups of Chaga tea to wash it all down with :). 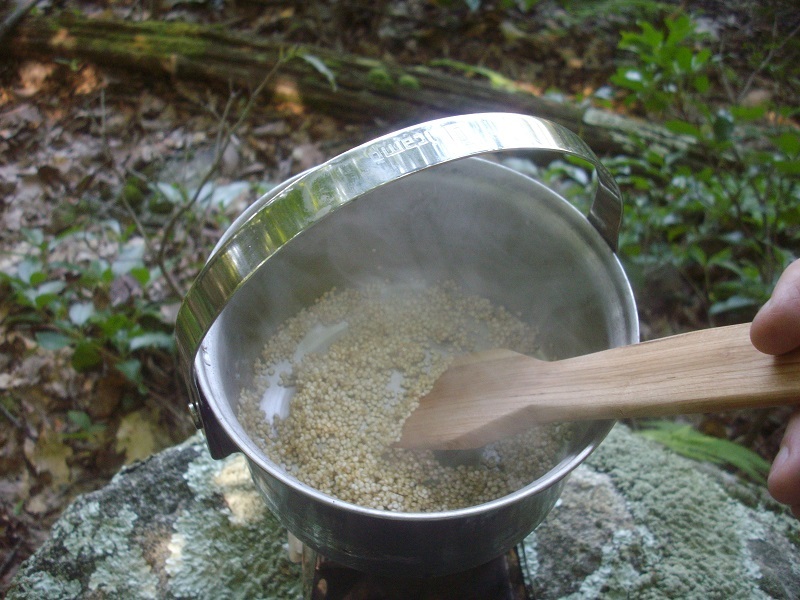 I brewed it like I do all my wild teas – not a full boil, but a simmer, like you would brew Oolong tea. It came out with a colour like coffee, but tasted nothing like the sort. The flavours were not strong or bitter as coffee usually is, but subtly astringent and faintly malty, almost like an Irish breakfast tea. The method I used to prepare the Chaga was to break up the fungus into more manageable pieces so it could dry faster, and when thoroughly dried, I scraped some of it into powder with a grater. After lunch, I sat around lounging in the welcoming, cool shade, graced every minute by a breeze whistling over the lake. 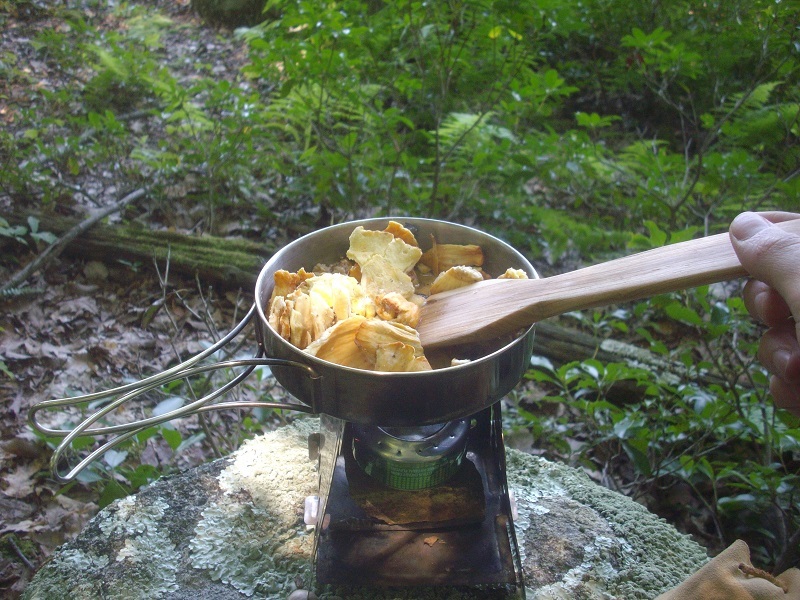 At length, I washed my cook kit, packed up, and turned around to head back. Beaver Lake is becoming a favourite spot :). I’ll be sure to return at the end of the month and again in August to collect the berries ;). 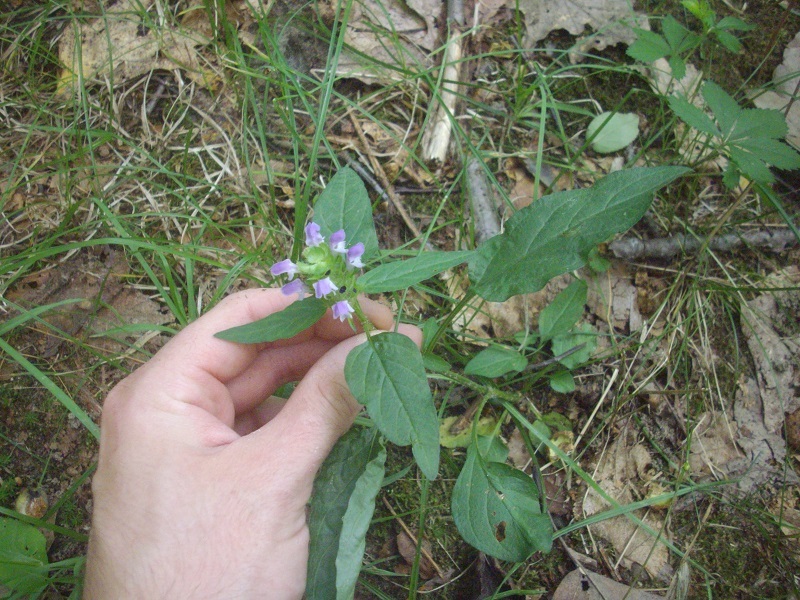 Great edible/medicinal plant walkabout post, thanks. Enjoyable post, and quite a knowledge of local plants. Glad you were able to get out and enjoy the better weather. Send it down this way! 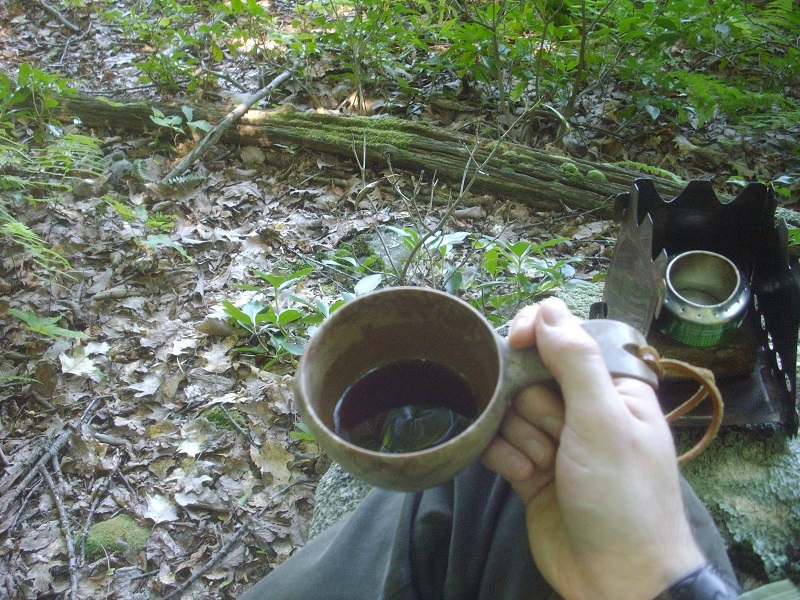 I’ve been studying local flora independently since 5th or 6th grade…it was what brought me into Bushcraft :). Of course, there’s always room to learn more, you can never know everything. The weather turned around again…we’re at 95 F here *ugh*. But it should begin to cool down after Wednesday. Che bel percorso ! Ma abiti lì vicino? Bellissimo pensare che un tempo lì vivevano così tante tribù indiane, quando vedo i tuoi trail rivivo l’atmosfera del film ‘The last of the mohicans’. Compliments proprio un bel posto!! !